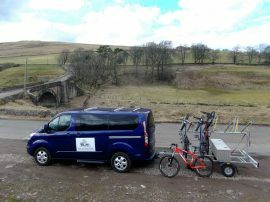 An article about Bicycle Transportation in Scotland and how SLM Cycle Transport can help with that as posted by Scottish outdoor blogger FionaOutdoors. Found this excellent article about winter bikepacking in Scotland in the latest Cycle magazine from Cycling UK. Interesting read about the fun and different challenges that cycling in Scotland can provide if you are looking for something different during the winter weekends (and possibly the Spring! )…..